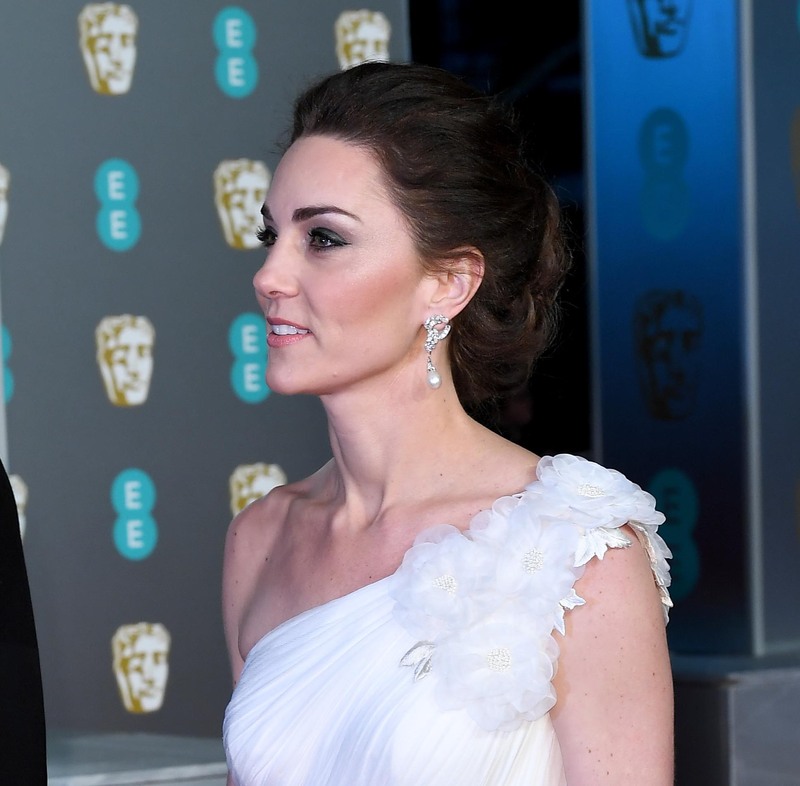 On Sunday night, real-life royalty the Duke and Duchess of Cambridge joined TV and film royalty at the annual BAFTAs ceremony, to celebrate some of the biggest names and achievements in entertainment. As President of BAFTA, Prince William and his wife put in an appearance at the glitzy event almost every year. But it was the Duchess of Cambridge who caught everyone’s eye at the star-studded event, as she stunned in a gorgeous white, feathered Alexander McQueen gown. Catherine also paid subtle tribute to her late mother-in-law, choosing to wear a pair of Princess Diana’s earrings for the evening. The sparkling, pearl drop earrings were a favourite of the late Princess of Wales, and she wore them on multiple occasions. 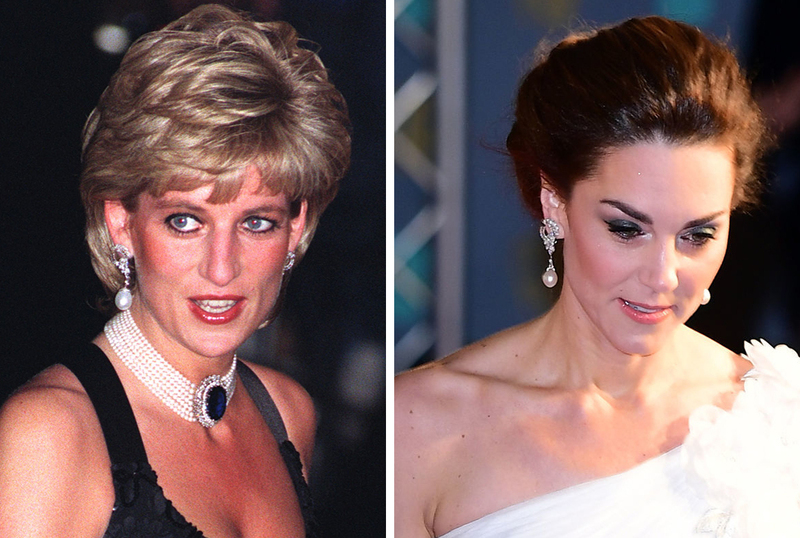 However, this is the first time we’ve seen Catherine in Diana’s earrings – suggesting she was saving them for an important event, such as the BAFTAs. After wowing on the red carpet, William and Catherine headed inside to take their seats front and centre at the Royal Albert Hall to enjoy the ceremony. Kensington Palace shared a video of the moment the royal couple entered the room. But some fans picked up on a rather awkward moment as the pair descended down the stairs. As Kate and William entered the room, there was a bizarre silence – likely strange to hear in a venue of this size! Royal fans found the moment slightly strange, with one writing, ‘Uh, way too quiet. Why no applause?’, while another agreed saying, ‘Why is it so silent when the Duke & Duchess enter, is this the norm ?’. However, a communal silence as a member of the royal family enters a room is usually seen as a sign of respect from the waiting audience. The BAFTA crowd did the very same thing last year when the Duke and Duchess of Cambridge entered the room – so perhaps its something the royal family are actually quite used to! Later in the evening, the Duke of Cambridge made a speech in his role as President, and presented the prestigious Fellowship award to film editor Thelma Schoonmaker, who edited almost all of Martin Scorsese’s films. When the festivities were over, the Duke and Duchess of Cambridge took to the stage to meet with some of the year’s biggest stars – including Olivia Colman, who will soon be playing William’s grandmother, Queen Elizabeth II, in the third season of The Crown. Catherine also spoke with Rachel Weisz, congratulating her on her win for Best Supporting Actress in The Favourite – starring alongside Olivia Colman.